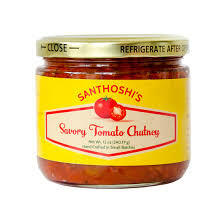 Santhoshi’s Savory Tomato Chutney is a family recipe and its one of my very favorite dish. Now my kids love it too! So I wanted to share this amazing Indian Tomato Chutney with you now.